After the unfortunate shootings that occurred in an Aurora, Colorado movie theater during a midnight premier of the highly-anticipated film The Dark Knight Rises, many individuals and activists were up in arms over gun control reform. But, according to BusinessWeek, the excitement was not reciprocated by Capitol Hill, which remained rather quiet following the incident. 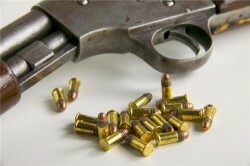 Although, many may be waiting on whether Congress will change its gun control policies, Krysta Sutterfield – a 43-year old nursing student from Milwaukee – has had her own gun control issues to deal with after just winning a trial against two Milwaukee police officers for allegedly carrying a concealed weapon, according to the Milwaukee Sentinel-Journal. Sutterfield testified against officer Cassandra Benitez, saying that when the police officer found her sitting in her car in a parking lot at 12:30 a.m. in November, that her 9mm pistol was not concealed, but actually exposed in its holster on her hip. When Benitez first checked on Sutterfield, she didn't notice her firearm. Therefore, her suspicions didn't grow until after she came back from running a license plate check and spotted the pistol, motivating her to arrest Sutterfield for carrying a concealed weapon. "The simplest explanation makes the most sense," said Sutterfield's attorney, Rebecca Coffee, in court. "She had the gun and the officer just didn't notice it the first time." Sutterfield was found innocent of all charges. This is Sutterfield's second acquittal on the same charge, after she was arrested in 2010 for a very similar situation when she carried a firearm into a church. 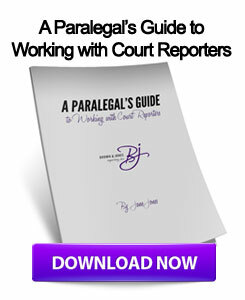 Cases such as this one may require plaintiffs, defendants and witnesses to recount their own versions of the same story, causing attorneys and investigators to rely very heavily on court depositions or deposition transcripts when assessing the case. In order for those involved in the case to get the most accurate information, they may want to consult Milwaukee court reporters who can also provide video depositions so they have as much information as possible. This entry was posted on Wednesday, July 25th, 2012 at 9:44 am	and is filed under All Posts, Wisconsin Legal. You can follow any responses to this entry through the RSS 2.0 feed. You can skip to the end and leave a response. Pinging is currently not allowed.